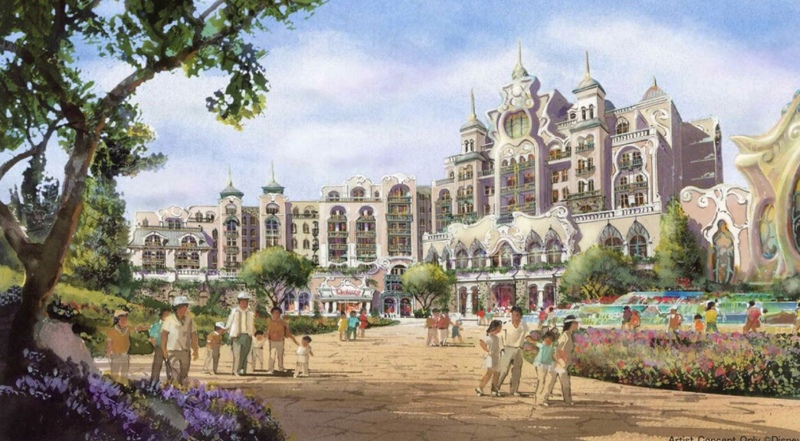 Today the Oriental Land company, owner of Tokyo Disney Resort announced a large scale expansion of TokyoDisney Sea. 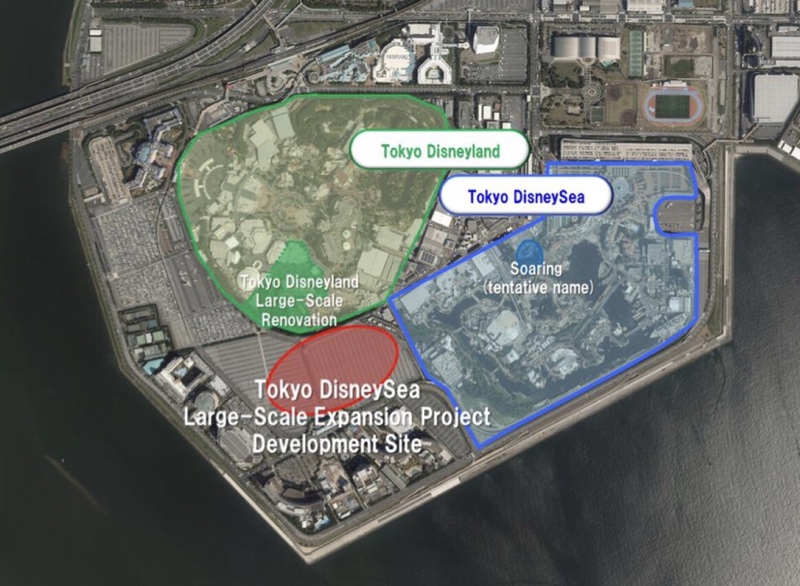 The expansion will cost about 250 billion yen (US$2.27 billion), and the project will take over the surface parking area behind Tokyo Disneyland, across from the Sheraton hotel. 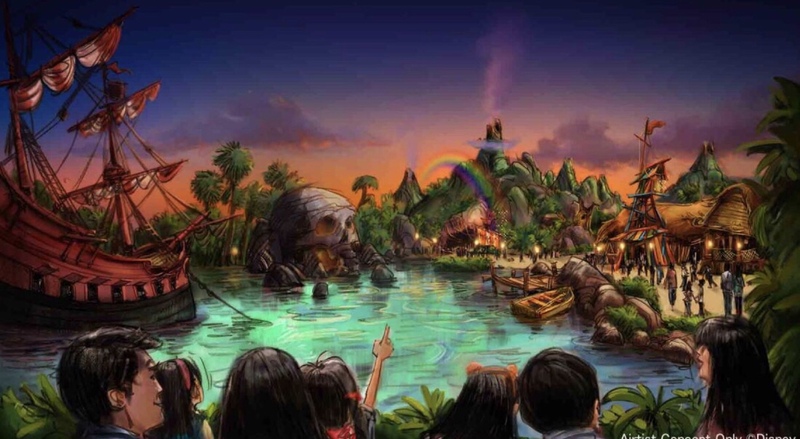 The new expansion will be a new DisneySea Port and will feature three new mini lands, each with a different theme and ride. There will also be a new hotel built inside the park. 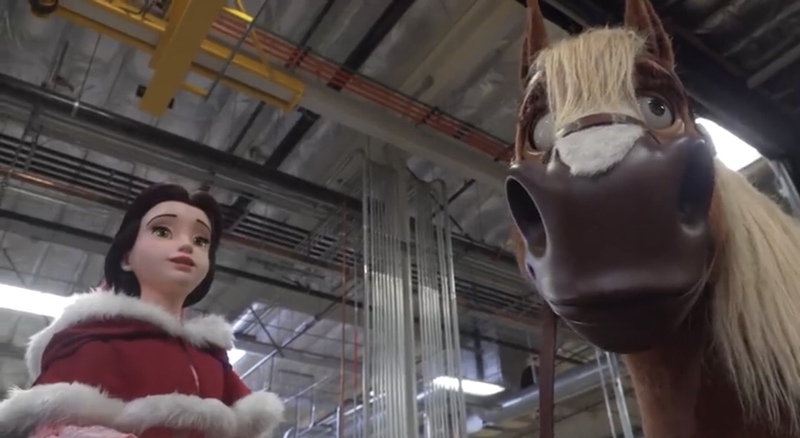 The hotel will be themed to “Disney Fantasy” and will in luxe a new gift shop and will tell the story of the magical springs, which will be found on the first floor of the hotel. 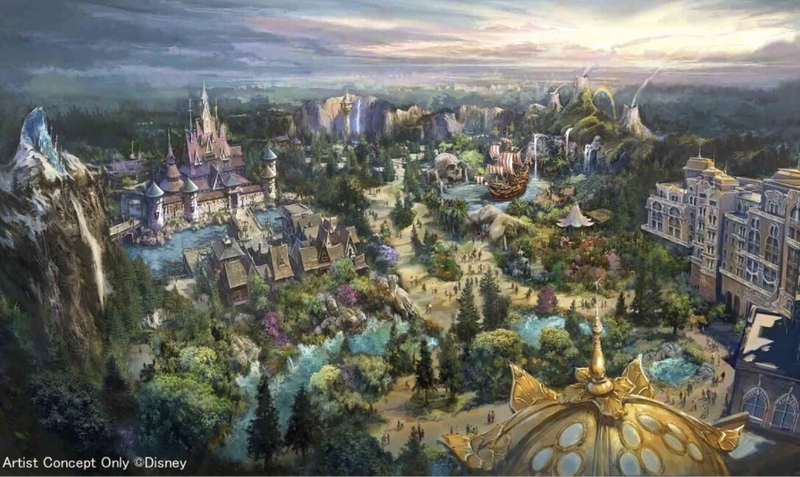 There were previously announced plans for a Frozen land, which has been scrapped in favor for this new area. 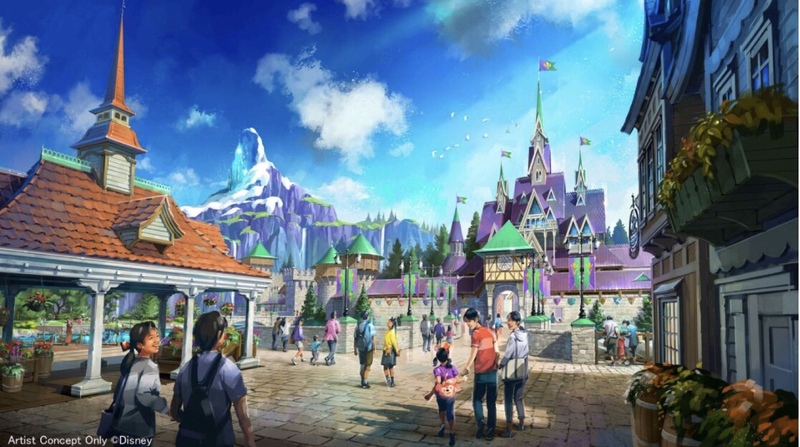 Arendelle will feature a boat ride (which sounds similar to the Epcot ride), and a new restaurant inside Anna and Elsa’s castle, which sounds similar to Be Our Guest. The Tangled area will also feature a boat ride, in which guests follow Rapunzel to the Lantern Festival and relives her best day ever. There will also be a Snuggly Duckling Restaurant. Peter Pan will feature an updated version of the classic Peter Pans Flight ride and will include 3D imagery and music of the film. A second attraction will immerse guests in the world of Pixie Hollow and will shrink them down to the size of TinkerBell and her friends. 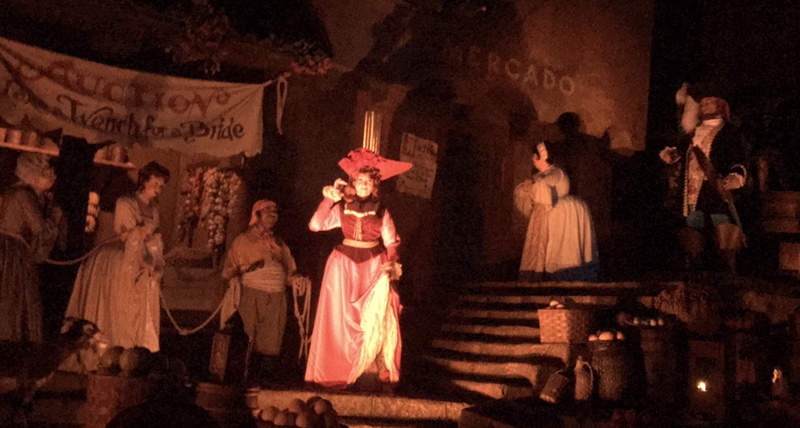 There will also be a Neverland restaurant as well. 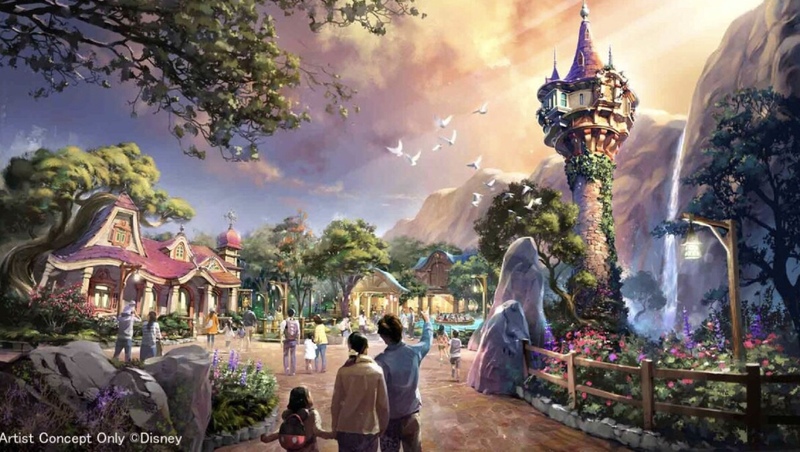 There’s no timeline on this new land, though Tokyo Disneyland is currently constructing anew attractions based on Big Hero 6, and Beauty and the Beast, both slated for 2020. 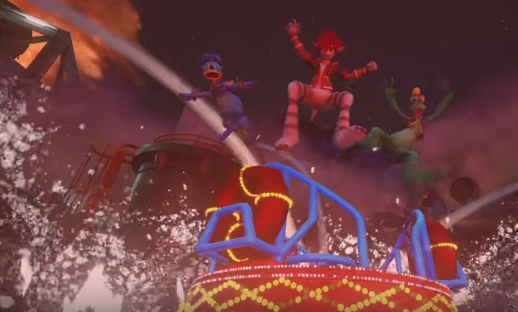 Kingdom Hearts 3 reveals Frozen in all new trailer!